Stepping off the Sky Bus at Melbourne’s Spencer Street Station, we walked serendipitously passed Kinfolk cafe and decided to stop in for flat white and almond milk turmeric latte. 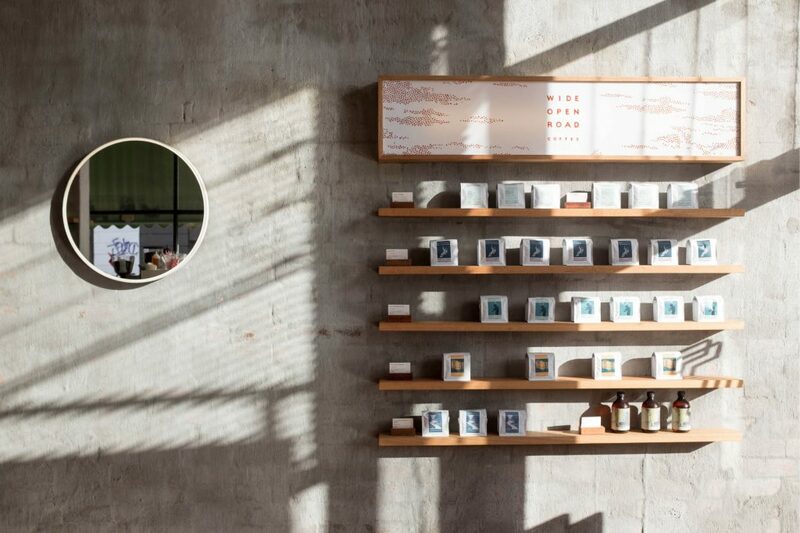 Kinfolk is a buzzy, social enterprise cafe with organic food, volunteer staff and eclectic decor. Located at the Spencer Street end of Bourke Street, the cafe’s neighbour is the philosopher and author Alain De Botton’s ‘School of Life‘. Here you can pick up a book or partake in a course on topics ranging from agrarian history and the 18th century English novel, to careers, relationships, politics and family life. 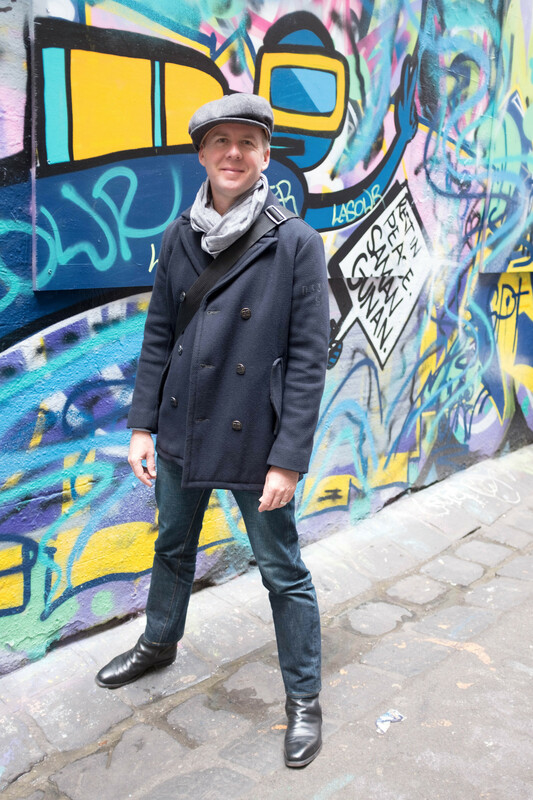 Boarding one of the city’s frequent trams, our next stop was Hosier Lane, famed for its street art and Spanish tapas restaurant Movida. 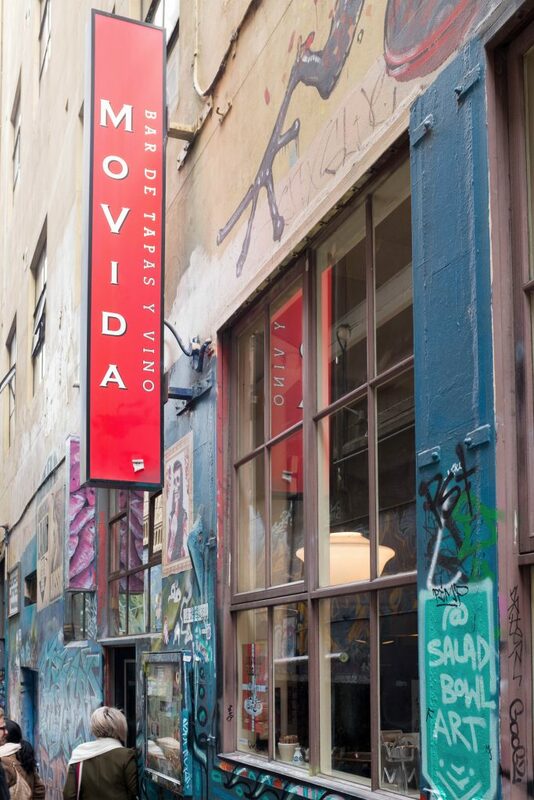 This visit we sampled the menu at ‘Next Door’, Movida’s sister restaurant, which arguably offers a better overall experience. The menu is similar, yet the windows on the Flinders Street side offer diners views of the people passing by with Federation Square visible across the street. On the day of our visit, the clams in white wine sauce and the spinach with slow-cooked chickpeas were outstanding. During lunch, Melbourne was turning on its characteristically changeable weather. While there was glorious sunshine in the morning, we had rain and light hail at lunch followed an overcast, windy afternoon; it certainly was four seasons in one day. 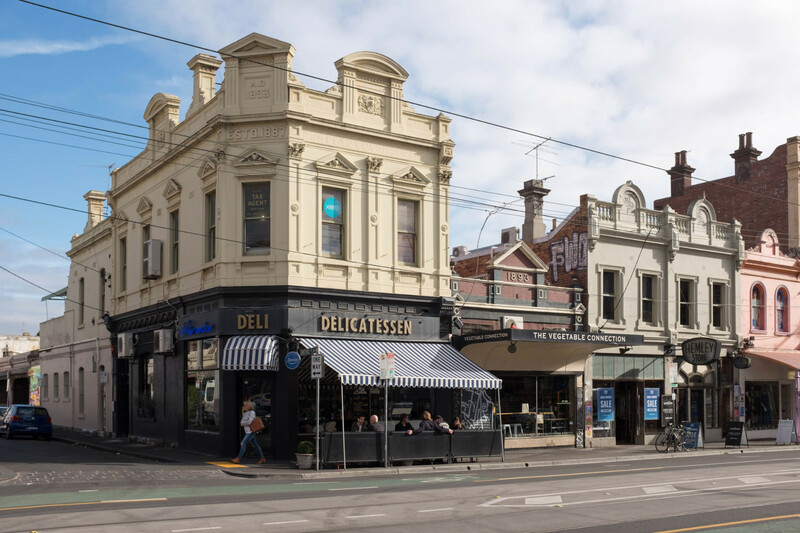 Next, we headed into Richmond and South Yarra, walking the streets of these two connected, yet starkly different precincts. While both have many good things going for them, neither precinct seems to quite resonate with us. That night, we felt like dumplings, and this meant a visit to Hutong Dumpling Bar in Chinatown. 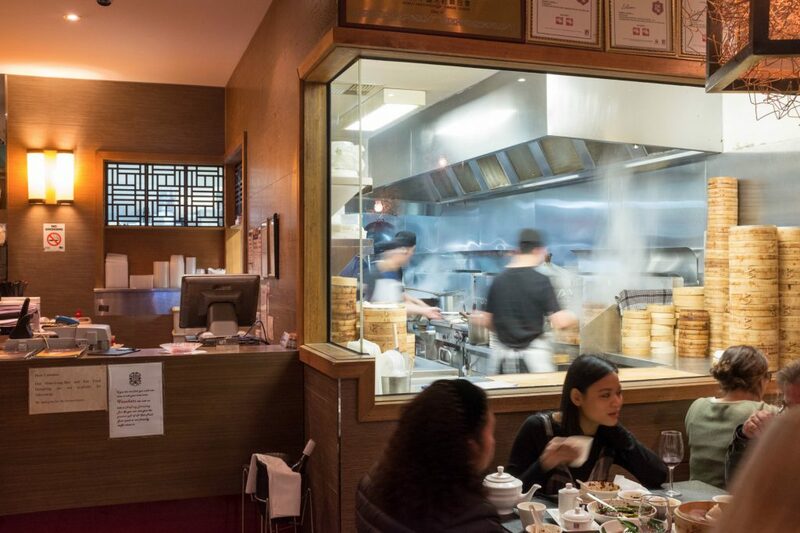 The ground floor’s simple decor belies a quality dumpling restaurant. It is on the second floor that Hutong comes alive with great atmosphere, funky Asian decor and dumplings combining for a wonderful dining experience. 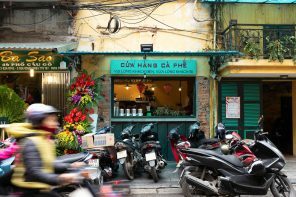 We supped on dumplings and Asian greens washed down with well-brewed tea of differing varieties. To aim of this trip was to reacquaint ourselves with Melbourne, in particular, the inner city precincts of Fitzroy and Collingwood. Walking through Fitzroy on the way to breakfast, we watched the suburb awaken with the promise of good food and independent shopping. Fitzroy is a charming, gentrified (but not too gentrified) precinct of primarily low-slung attached houses sitting harmoniously alongside well design apartment developments. Except for the odd eyesore, this combination works well in creating a sense of buzzing village life just two kilometres outside the city. 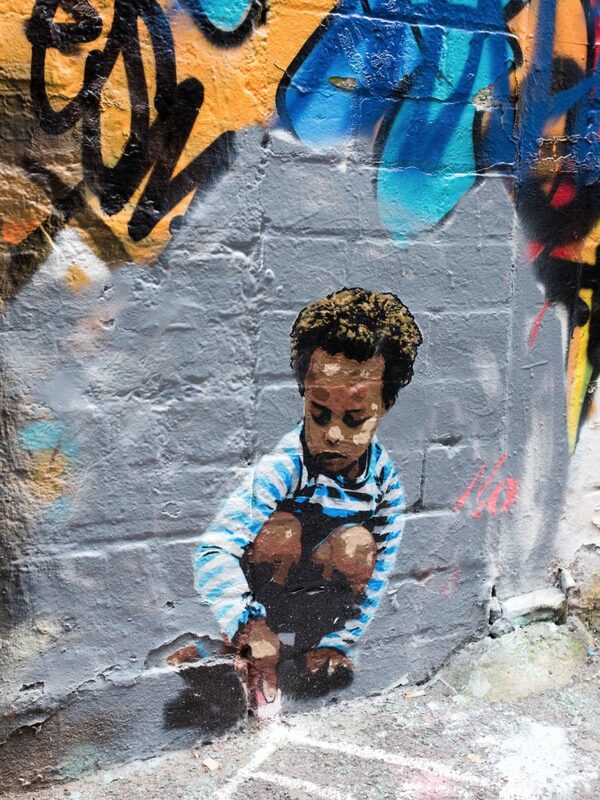 Crossing Smith Street into Collingwood and there is a distinct change, with Fitzroy’s street art murals being replaced by a much grittier graffiti. 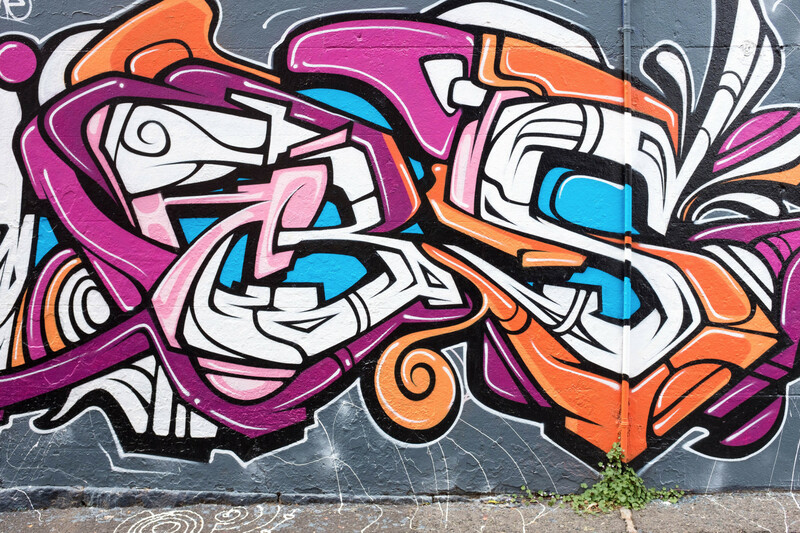 The area caters to a hip young crowd with its mix of high and low. We had a healthy breakfast of açai berries, fruit and coconut yoghurt at Terror Twilight, named after a Pavement album of the same name. Terror Twilight is a casual eatery, well suited to this emerging inner-city precincts’ clientele. The coffee was excellent, as was the tea, which was delicate and well made with no steeping in the pot. Sideline question” why have cafes put so much effort into their coffee and yet serve tea that steeps in the pot? This needs to change as coffee drinkers explore tea and all its unusual varieties. Waking around Collingwood and we came to the conclusion that the area is just not for us. A little too gritty and young, although it would have been ideal when we were 25-35. Walking back into Fiztroy and we immediately felt more at home. 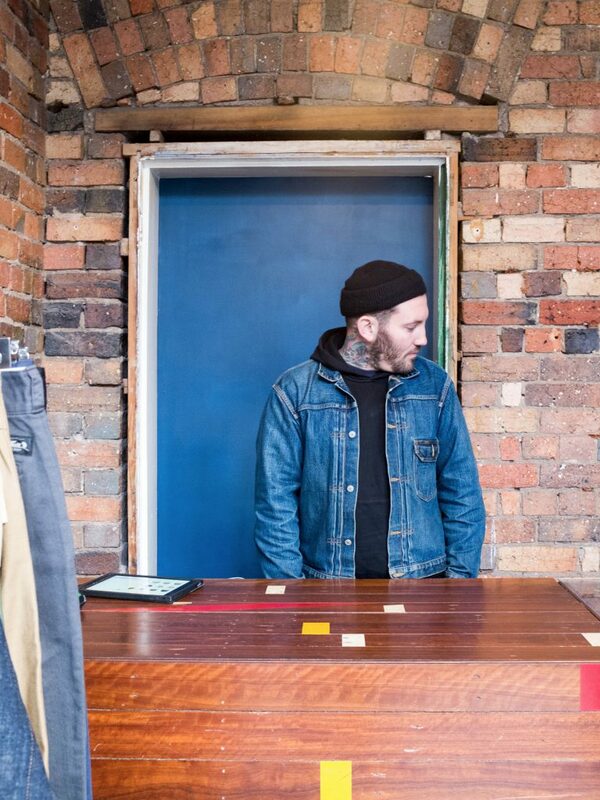 This feeling was cemented when we stumbled across Martin Kirby’s shop Godspeed. Selling an impeccably curated selection of Japanese denim and leather goods from The Real McCoys, Radiall, Trophy and Rats, there were a number of items that beckoned including a B6 sheepskin flight jacket from The Real McCoy’s (luckily for my bank balance this did not fit), and a denim engineer’s cap from Trophy (this did, and I bought it). Martin previously lived in Japan and is very knowledgeable about quality workwear brands. Similarly, Pickings & Parry a short stroll down Gertrude Street stocks Buzz Ricksons, Nigel Cabourn, Tanner & Co, Filsen and Stetson. It amazes me that there can be two brilliant shops in this one precinct, making them an essential stop when in Melbourne. After walking and walking and walking, we stopped in at De Clieu for coffee and sencha green tea. 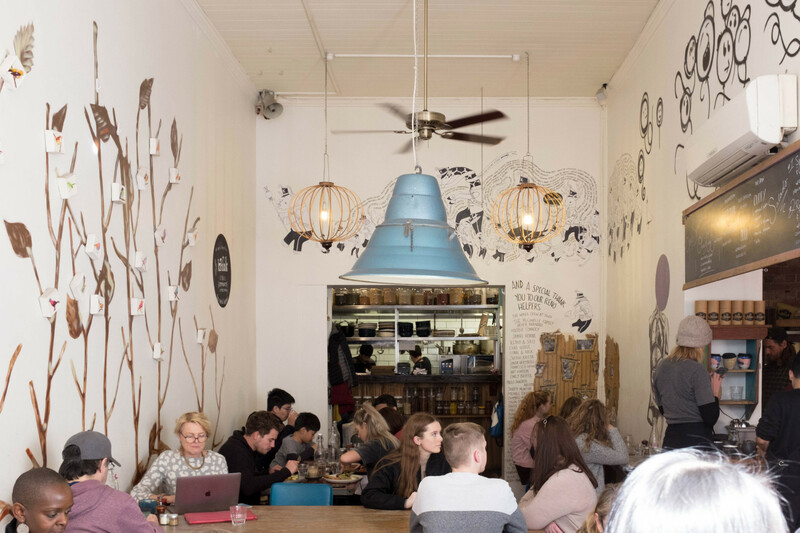 This cafe has a friendly, buzzy atmosphere with an exciting mix of clientele which sums up the appeal of Fitzroy to us. There are people aged 20-65; each stylish, well presented and going about their Saturday morning. We decided to check out Carlton and North Carlton next, walking through the Carlton Gardens along the way. 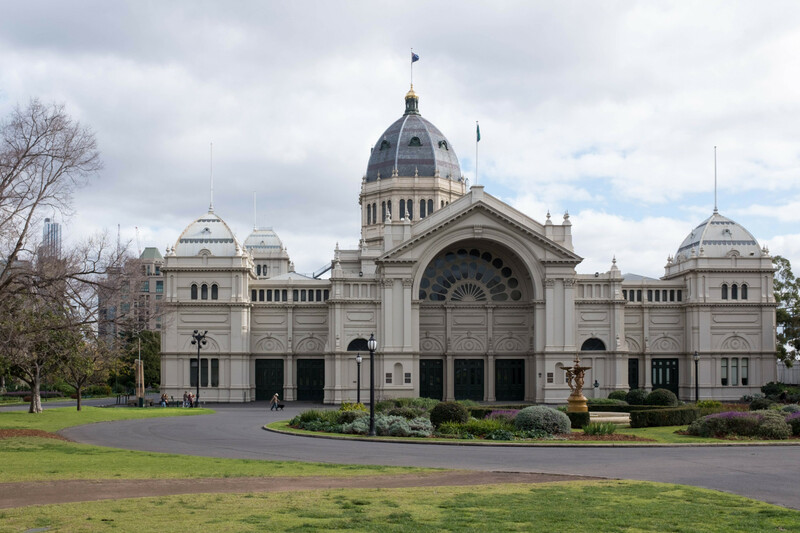 The 1880 Royal Exhibition Building sits majesty in the park and is complemented nicely by the newer Denton Corker Marshall designed Melbourne Museum opposite. On the other side, Carlton felt quiet, and in some places dead, on a Saturday morning. This area is famed for its Italian eateries. However, the precinct feels stuck in an 80/90’s time warp and needs an injection of life. After Fitzroy, it felt rather staid. Making our way back to the city for lunch at Kisume, a new Japanese eatery from the highly successful team behind Chin Chin. 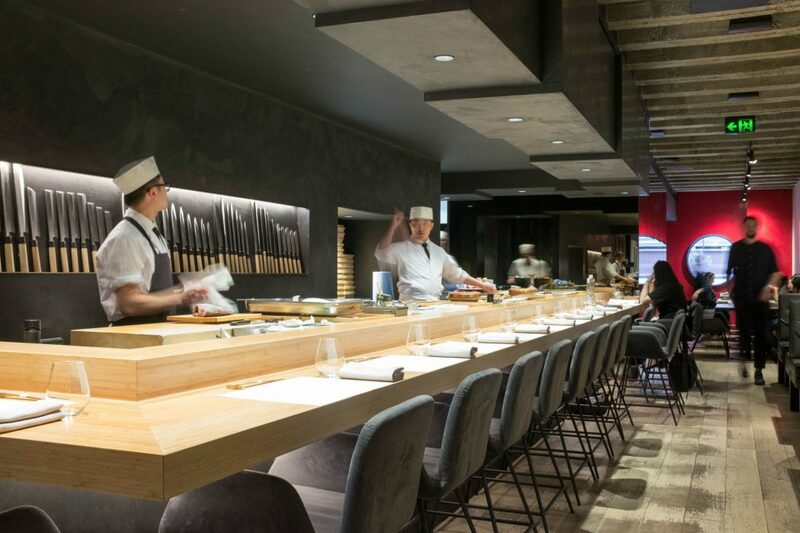 We booked for lunch at the sushi counter, an ideal place to oversee both the beautifully designed and the sushi chefs in action. The food was solid with the edamame and eel rolls the standout dishes; not sure what is on the edamame other than salt, but it really works. The sushi and sashimi were fresh and the tempura light and crunchy. A trip to Melbourne is always a treat, this time even more so for spending the time to walk the neighbourhoods. Looking forward to our next visit.